In order to use any Fashion Potluck or any of its tools, you must be a registered user. You can register via the creation of your own username and password or through Facebook and G+. 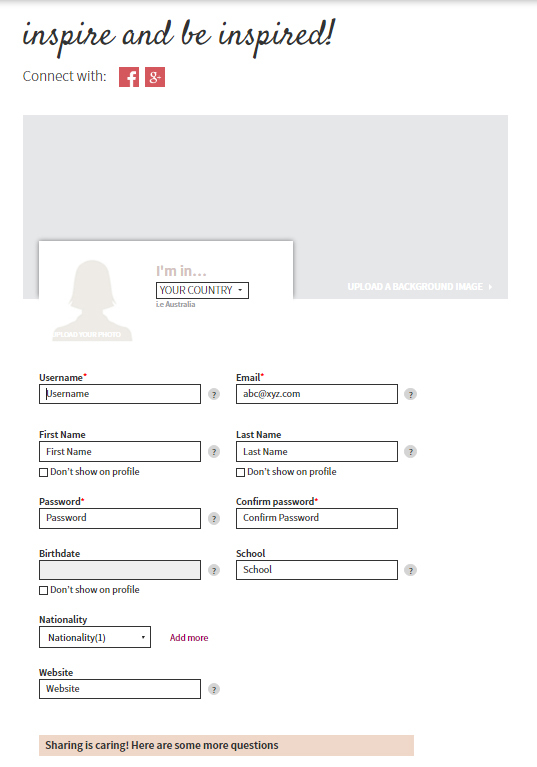 The basic information needed is standard such as name, email, date of birth, and password. In Fashion Potluck we aim to create and grown a community of women that can provide content focused in fashion and lifestyle that is by women for women. With this in mind, we want users to identify with each other and express and inspire each other. Among the questions that we ask are: nationalities, region where you are living, who or what inspires your fashion and style, and others. After inserting your website’s link, it will become a “Visit my website button” which will ease the access to your blog/channel and will increase your audience! All of the categories have the ability to upload a picture. For this, you will see the "Upload Image" icon. All you have to do is click on the indicated link and a window will open in your computer where you will be able to choose the folder from where you want to upload together with the actual picture you want to post. After you’ve uploaded the video and before you press “Upload & Share”, you’ll have a possibility to share it either to Facebook, YouTube or both! The tagging feature of Fashion Potluck is different in its creation form than what you find in other social media platforms. All you to do is type in the field of "add tags", create whatever terms you like (you can use spaces), and click "Enter" to create/activate the tag. 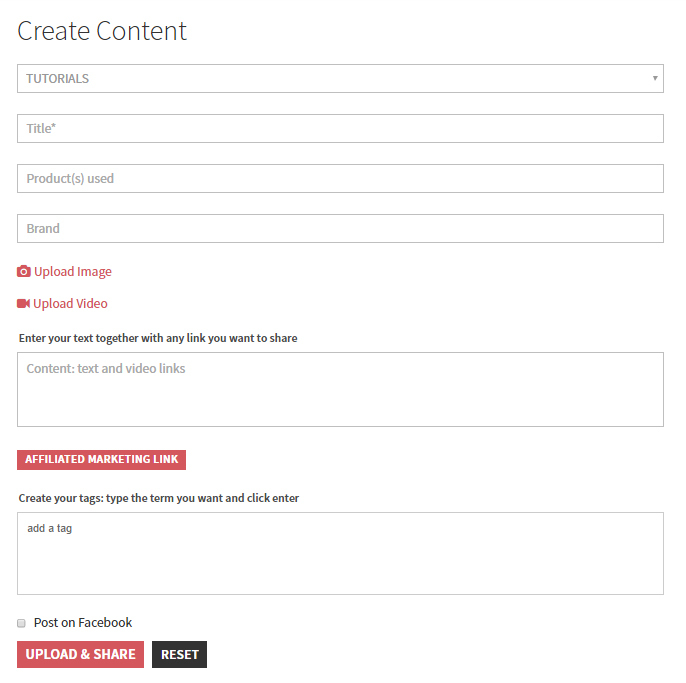 You can create as many tags as you would like per post. However, we would suggest maybe not to go overboard. 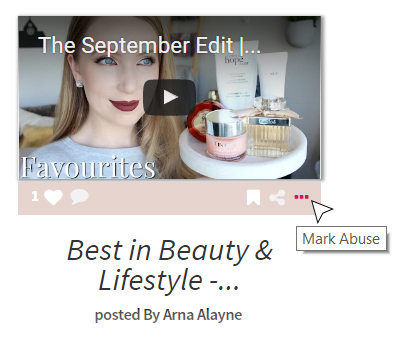 After you’ve inserted the link to the product or clothes you’re reviewing, the “Buy Product Button” will appear underneath your blog post! Fashion Potluck was created with the purpose of giving a space where women can express themselves about fashion and lifestyle. It is for you, your channel. As such, you can vote to have a post removed in case of it being offensive or in case of the post not fitting the topics of fashion, beauty, travel, food, and lifestyle. If you are in the home page or in a specific category, in every post made, there are the three dots ( ... ) menu. If you click on it, a dialog box will appear. Within it you can choose what type of inappropriate content you judge this to be: "Offensive content" or "Does not fit the site's content profile. Once you register or log in, you can interact with other users by way of liking, commenting, and sharing posts. You also will find the ability to like or dislike comments made by other users via the "full heart" or "broken heart" icons. In addition to following other users and liking posts, you can also bookmark a specific posts for future reference. This will allow you to differentiate between having complemented a post and actually wanting to keep this saved in your library of favorite looks, reviews, tutorials or the other sections of the site. As you use Fashion Potluck and navigate around the site, you will be able to identify where in the site you are by noticing the upper menu. The section that you are in will be marked bold.